German space scientists are offering volunteers €16,500 ($18,500) to lie in bed for 60 days to test the negative effects of weightlessness on the human body. 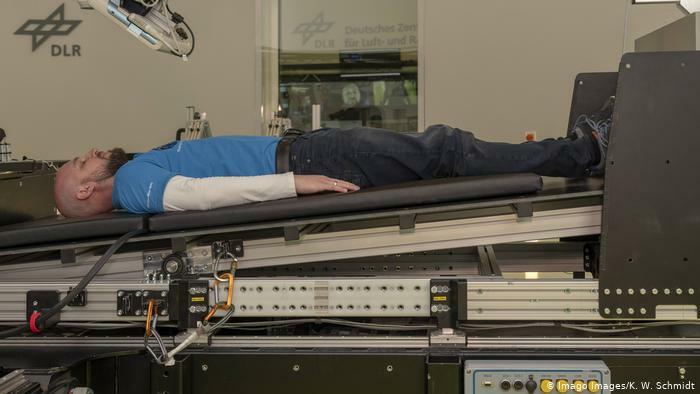 The long-term bed-rest study, aimed at understanding the impact of microgravity on astronauts during extended space travel to the moon and Mars, involves 12 men and 12 women remaining in bed for two months at the German Aerospace Center (DLR) in Cologne. "Crewed spaceflight will continue to be important in the future in order to carry out experiments in microgravity, but we must make it as safe as possible for the astronauts," said Hansjörg Dittus, DLR Executive Board Member for Space Research and Technology. Prolonged periods of time in a weightless environment causes bone and muscle atrophy, reduced cardiovascular function and forces bodily fluids to move to the upper part of the body. It can also lead to weakness, dizziness, stuffy heads, puffy faces, motion sickness, inner ear disturbances, compromised immune systems and back pain. As part of the simulated study, participants will be confined to bed for all experiments, meals and leisure — even to shower or go to the bathroom. The beds are also angled downwards towards the head end by six degrees to simulate the displacement of bodily fluids experienced by astronauts in microgravity. In a first of its kind experiment, two-thirds of volunteers will be placed daily into a "short-arm human centrifuge" that creates artificial gravity. The centrifuge aims to tests whether artificial gravity can prevent or counteract the physiological changes experienced in space. The study, which is funded by NASA and the European Space Agency, will be conducted in two rounds. The first 12 volunteers arrived on March 25 and the second batch is expected to start the study in September. Scientists are still seeking volunteers, especially women, for the second phase. Good German language skills are required to participate. In addition to the monetary compensation, the German Aerospace Agency said among the benefits of participating in the study are using the time for learning, watching TV, avoiding daily chores and "gaining a clear idea about the goals you want to reach in the future."